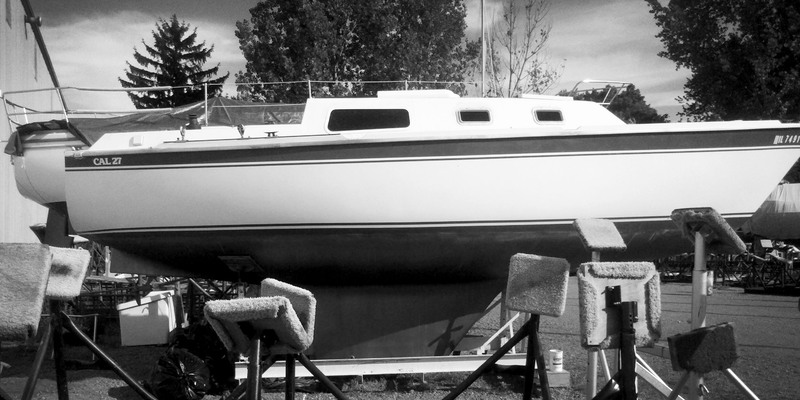 The entire bottom was corroded and blistered, which meant the whole damn thing had to get sanded down to the fiberglass and re-painted. Now we are going to go so fast. 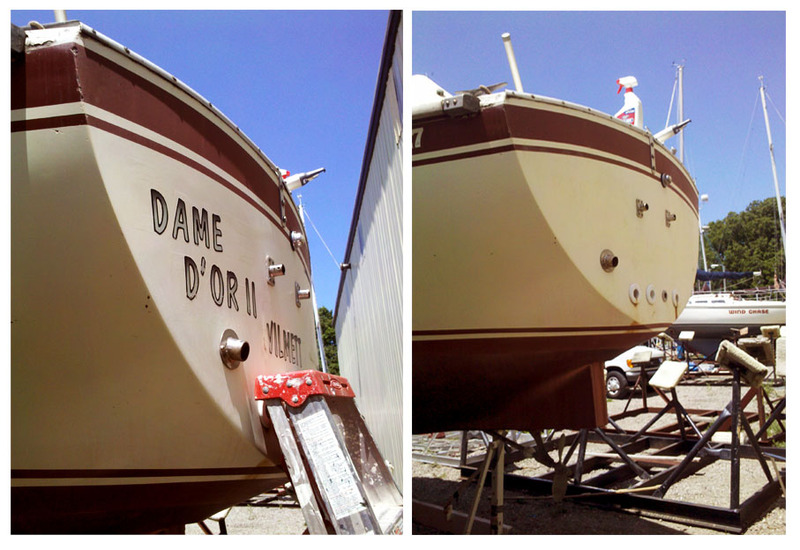 “Dame D’or” means “Lady of Gold” in french. No thanks. We are changing the name, which is supposed to be extremely bad luck. BUT we read up on the ‘re-naming ceremony’ that involves destroying all evidence or existing papers that the boat was ever named “Dame D’or” It also includes a celebration where it will be christened with champagne. Don’t forget to delete this post. It’s evidence of the original name too!